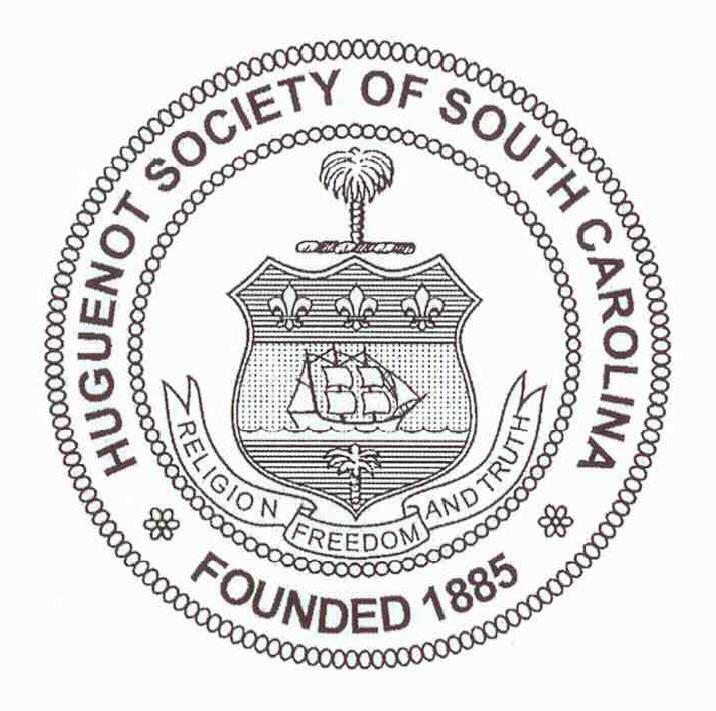 The arms of the seal of the Huguenot Society of South Carolina were adapted from the arms of La Rochelle, France, home of many of those who sought refuge from persecution in their native land. The shield (similar to that of the city of La Rochelle) includes a three-masted sailing ship and three fleur-de-lys , with the addition of a palmetto tree to symbolize the state of South Carolina. The symbols delineated on the shield represent the homeland the immigrants were forced to leave, the ships which carried them to safety and the colony in which many of them settled. The motto, “Religion, Freedom and Truth,” was added beneath the shield and a palmetto crest above it.